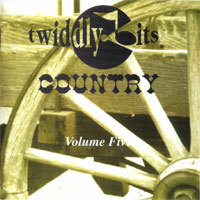 Classic country instrumentation including fiddle, pedal steel, guitar, banjo, piano, and more. Players include Scott Joss (Merle Haggard, Dwight Yoakam), Steve Hackett, Bill Purse (Joe Pass), Andy Shillito (Joe Walker), Johnny Evans (Wild Turkey), Milton McDonald (Robert Palmer), & Jon Savannah (Van Morrison, Squeeze). BANJO (39), DRUMS (69), FIDDLE (147), GUITAR (137), PIANO (83), PEDAL STEEL (25), HARP (30), and BASS (73). 600+ country-flavored phrases and motifs to cut and paste into your own material or to create songs from scratch. Modern, rock-tinged more than traditional, though parts like the banjo rolls (which are truly stunning), fiddle runs, and classic 2-beat boom-chick drums, can be used in most any country setting. Recorded using specialized MIDI controllers from guitar synths, to the Zeta Violin system, to MIDI kits. Fiddle and Pedal Steel parts where individual string bending is vital have been recorded and are presented on multiple MIDI channels.